Get your bankruptcy facts straight so you will know exactly what type of bankruptcy you are eligible for and what filing bankruptcy means for your debts and your financial picture. Bankruptcy is a method of getting legal relief from your debts. It is handled in the United States by federal bankruptcy courts. A federal judge decides your bankruptcy case under laws that conform to both federal and state bankruptcy regulations. You generally should have an attorney represent you if you are going to declare any type of bankruptcy. While you technically can represent yourself, specific papers must be filed with the court according to certain rules. You also need to provide sufficient notice for your creditors and ensure you list all debts which you want included in the bankruptcy. Because of the complexity involved, investing in an attorney greatly minimizes the chances of mistakes being made and helps you understand bankruptcy facts. Chapter 7 bankruptcy has long been the most popular type of bankruptcy because you essentially get a clean slate; all non-exempt debts, with certain limited exceptions, are wiped clean within four to seven months of filing. Debts such as unpaid child support, tax debt and student loans are not usually forgiven, although student loans can be forgiven in rare cases if you can show undue hardship. As soon as you declare bankruptcy, collection activities must cease under the law. The creditors can come to court, however, and make claims on the debts you owe. Those claims are then paid out from the proceeds of non-exempt assets. Under Chapter 7 bankruptcy, you are allowed to keep certain types of assets. The specific assets you can keep vary depending on federal and state law.For example, under federal bankruptcy law, you can exempt $125,000 in home equity unless your state has a lower homestead exemption. In some states, however, the exemption is more limited and you are permitted to exempt $32,300 in home equity if you are married filing jointly ($16,500 per person). That means if you own a $100,000 home and have $45,000 in equity in the house, creditors can come after only the difference between the $45,000 in equity you have and the state maximum of $32,300, or $12,700. This exemption is referred to as the "homestead" exemption. Other states limit your homestead exemption even more, such as Georgia, which allows you to exempt only $5000. Still other states give you a more broad homestead exemption, such as Florida which allows you to exempt your home entirely as long as it is on half an acre or less in a municipality or 160 acres outside of a municipality. Other exemptions may exist on a state by state basis for things such as jewelry, cars, and tools you need for your business. When you declare bankruptcy, non-exempt assets are seized and put under the control of a trustee. The trustee then sells the assets and uses the proceeds to pay claims made by creditors according to preference order set by law. Secured debts are then paid first out of the proceeds, followed by medical bills and other unsecured debts such as credit cards. Your creditors are able to come to court to make claims on those exempt assets. Once the money is gone, the remaining debts - with the exception of those that aren't dischargeable - are no longer collectable.The bankruptcy, along with the list of discharged debts, may remain on your credit report for up to 10 years. In order to declare Chapter 7 bankruptcy, you must meet certain income qualifications. The Bankruptcy Abuse Prevention and Consumer Protection Act of 2005 limited Chapter 7 bankruptcy to those who earn less than the median income in their state or to those who pass a means test. If you make more than the median income in your state, the court will apply a mathematical formula to determine your disposable income.The formula, which subtracts the cost of your mortgage, food and rent, is used to determine if your disposable income after payments are made is less than $100.00. If your disposable income under the test is less than $100, you are eligible for Chapter 7. If your income is between $100 and $166 per month, the court will look at what you could pay off over a five year period to determine if you are eligible for Chapter 7. If your income exceeds $166 per month under the formula, you are not eligible for Chapter 7 and must declare Chapter 13. Within 15 days of submitting the request for Chapter 13 bankruptcy, a repayment plan proposal must also be submitted specifying how and when payments will be made on debts. As soon as you file Chapter 13, collections activity must stop under the law. The court then looks at all this information and appoints a trustee. 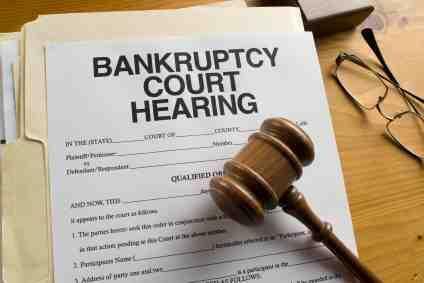 A meeting is then scheduled with the trustee, the creditors and the individual declaring bankruptcy. Creditors can make claims and the debtor is required to attend and answer questions under oath about his or her financial picture. Like Chapter 7, student loans, tax debt, and child support payments may not be included in debts restructured in most cases. Payments are then made to the trustee according to the terms of the repayment plan, who distributes the assets to creditors according to the schedule set. The creditors may receive less than the full amount due but the plan must involve the debtor paying all disposable income over the commitment period, which is usually between three and five years. Creditors must receive at least as much in payment as they would if Chapter 7 had been filed. Knowing which type of bankruptcy to file and how the process works is a complex process with many different bankruptcy facts to learn. It is best to get help as soon as you know you will need to declare bankruptcy so you can follow the appropriate steps and complete the process under the rules required by law.